Former D.A. 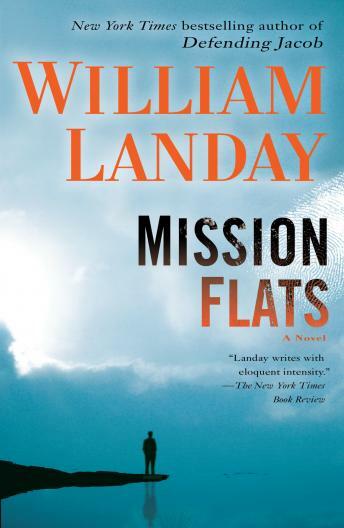 William Landay explodes onto the suspense scene with an electrifying novel about the true price of crime and the hidden corners of the criminal justice system. Only an insider could so vividly capture Boston’s gritty underworld of cops and criminals. And only a natural storyteller could weave this mesmerizing tale of murder and memory, a story about the hold of time past over time present–and the story of one unforgettable young policeman who ventures into the most dangerous place of all. By a gleaming lake in the forests of western Maine, outside a sleepy town called Versailles, the body of a man lies sprawled in a deserted cabin. The dead man was an elite D.A. from Boston, and his beat was that city’s toughest neighborhood: Mission Flats. Now, for small-town police chief Ben Truman, investigating the murder will mean leaving his quiet, haunted home and journeying to an alien world of hard streets and hard bargains, where the fierce struggle between police and criminals is fought for the ultimate stakes. revelations are yet to come. Mission Flats is at once a relentless page-turning mystery and a vivid portrait of a cop’ s life. Here are the street corners, courtrooms, and stationhouses; the deal makers, thugs, and quiet heroes. An unforgettable world–and the luminous, boundary-breaking debut of a new voice in suspense fiction–Mission Flats will haunt you long after the final pages. Really enjoyed this book. Very short and I wanted it last longer. The narrator's voice is excellent and really draws in the listener. I was caught between a book that sounded like others I have read and one that was heading in a different direction. I stayed with it and I enjoyed it. Nice ending that I was not suspecting. A good quick listen.